Based on reviews from 62 experts and 3,309 users. Learn how our rankings work or see our guide to Nike crossfit shoes. Updated Apr 2019. If you try searching for CrossFit shoes on the official Nike website, you will not find a single mention of this workout regimen. But why? How could Nike leave out such a prominent fitness trend? No worries, it did not. Because of Reebok’s 10-year deal with the CrossFit brand, it has become the only athletic footwear company with the right to use “CrossFit” in the marketing of its products. That’s why Nike had to be resourceful in naming its CrossFit-oriented trainers which led to the creation of the Metcon line. The bottom of these shoes is made of a sticky rubber compound. This material is ready to grip the surface both indoors and outdoors so that the wearer can make quick direction changes without worrying about slipping. Because CrossFit involves lots of weightlifting exercises, it is crucial for the wearer to have sturdy and reliable underfoot support. That’s why it’s not typical for these shoes to have a thick foam midsole unit which is inherent to running shoes. Metcons employ a firm, low-profile midsole to help athletes feel steady and in control of the surface. Some of these trainers even have a drop-in midsole which can be removed for a more grounded experience. The heel-to-toe differential in these shoes tends to be around 4 mm which makes the foot lie almost flat on the sole, contributing to stability. While lifting and jumping exercises already put enough pressure on cross-trainers, activities like rope climbs become serial killers for training shoes. To make sure that the sole does not get shredded within a minute of use, Metcons feature protective rubber panels on the sides to amplify durability. The upper unit in each Nike CrossFit shoe is crafted to keep the foot locked in during fast multi-directional movements. Considerable emphasis is put on lateral support to keep the wearer stable during side-to-side movements. For this reason, each shoe is equipped with the brand’s proprietary Flywire technology. The Flywire cables are thin yet strong filaments that are spread at the quarters and are integrated with the lacing system. When the laces are tightened, the Flywire mechanism becomes taut thereby enhancing the locked-down feel and lateral support of the upper. The Metcon 4 has already become the brand’s iconic trainer for CrossFit as well as the most popular one among cross-training aficionados. With its grippy rubber outsole, a hardly compressible drop-in midsole, and a 4-mm offset it makes one of the best Nike CrossFit shoes for Olympic weightlifting. The shoe’s upper is made of a sandwiched mesh with a layer of 3D-printed haptic technology on top of it. This textured surface aims to amplify the durability of the mesh material. There is Flywire integrated with the lacing system to enhance lateral support. An additional pair of eyelets has been added for a more tuned in fit. Like the previous version, the Nike Metcon 4 still uses an external heel clip that holds the rearfoot steady during dynamic movements. The clip is made of thermoplastic polyurethane (TPU) which is a lightweight and unyielding material. With an original price of $130, it justifies the cost by being a solid and reliable choice for every single activity involved in a WOD. Compared to Metcon 4, this pair of Nike CrossFit shoes is crafted to be lighter and more flexible due to the Flyknit upper. This material conforms to the shape of the foot to deliver a sock-like experience as well as maximum coverage. The Flywire cables are integrated with the lacing system to add even more lateral support. While the platform of the DSX Flyknit 2 looks identical to the one of the Metcon 4, the drop-in midsole inside of it is a bit different. It still has some density to keep the foot stable during lifts but is also created to be more flexible. Combined with the 6-mm drop, it makes the DSX Flyknit 2 more conducive for plyometric exercises and running. Other than that, the bottom of the shoe sports the exact same sticky rubber outsole, the rope protection, and the external heel clip. Because the trainer fuses the well-loved stability of the Metcon 3 and 4 with the sock-like feel of the Flyknit, it comes with a higher price tag of $150. This pair of Nike CrossFit shoes will work perfectly for those who are looking for more cushioning in their Metcons. The trainer uses an incorporated Phylon midsole instead of a drop-in one. This EVA-based platform offers more shock attenuation and adds a little bounce to each step. It also has a slightly higher heel-to-toe drop of 6 mm, compared to the standard 4-mm offset of the Metcons. Such construction makes this model more friendly towards running sessions and high-impact exercises. Nike Metcon Repper DSX has also been extensively praised as an all-around CrossFit shoe, suitable for each part of a typical WOD. Along with cushioning for running and jumping, they also offer flexibility, grip, rope protection, and stability for moderate weightlifting. However, these shoes are not intended for more serious Olympic weightlifting exercises with greater loads. It is also a more affordable Nike CrossFit shoe. While the average price of the Metcons ranges from $120 to $150, the Repper DSX retails at $100. This CrossFit trainer from Nike aims to bring the best of the two footwear lines: the Free and the Metcon. Compared to the models mentioned above, the Free x Metcon comes closest to offering a shoe which bridges weightlifting and running. That’s why its construction is so vastly different from the Metcon 4 in each part of the shoe. It sports a bootie design to hold the foot and ankle snugly. At the back, it uses cushioned neoprene for support and in the forefoot, it features a TPU-covered mesh for breathability and flexibility. The TPU cage wraps around the heel and integrates with the laces for enhanced support. The dual-density built-in midsole delivers a combination of firmness in the heel and flexibility in the forefoot. That way it balances stability and plush comfort. At the bottom, the trainer employs a mix of the Tri-Star cut-outs which are inherent to the Nike Free models and two type of rubber (blown and carbon ones). It provides a fusion of underfoot flexibility, grip, and protection. 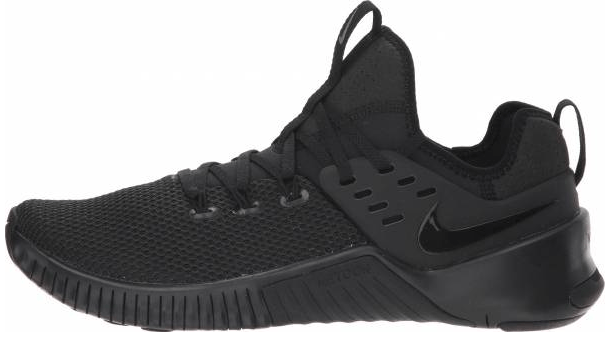 The Nike Nike Free x Metcon comes at $120, which is an average price for a Nike CrossFit shoe. Why are Nike CrossFit shoes called Metcons? Nike is not legally allowed to label their products with the CrossFit brand because Reebok has an exclusive deal with this brand. Nike CrossFit shoes are named Metcons, after metabolic conditioning, one of the core principles of CrossFit. What activities are Nike CrossFit shoes good for? Nike CrossFit shoes are designed as all-around workout footwear. 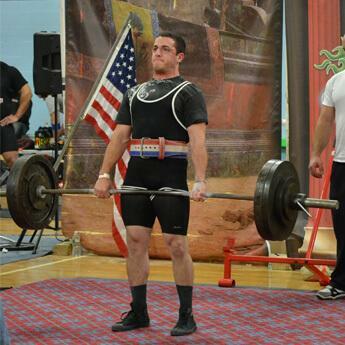 The brand aims to eliminate the need to bring separate weightlifting shoes and training shoes to your training session. It wants athletes to be able to jump from one activity to another without having to waste any time changing their shoes. CrossFit shoes from Nike are crafted with a low-profile sole unit for stability, a flat heel for steadiness during strength training, flexibility at the forefoot section for plyometrics and sprints, sticky rubber outsole that grips the surface during quick cuts, and a breathable upper that keeps the foot chamber well-ventilated even during the most strenuous workouts. Is it necessary to use Nike CrossFit shoes for CrossFit? There are no strict rules regarding what footwear one should use when doing CrossFit, but wearing the right footgear could mean beating your personal records in WODs. Nike CrossFit shoes are created for high-intensity workouts that involve plyometrics, weightlifting, running, calisthenics, and more. The trainer is constructed with durable materials that can withstand rope burns and other types of abrasions. On the other hand, regular workout shoes are not made of the same durable materials which could mean that if you use them for CrossFit, they will not last that long. Can Nike CrossFit shoes be used as running shoes? Athletes are more likely to run for extended periods using dedicated running shoes since their midsole has more cushioning and bounce. With Nike CrossFit shoes, though users can run in them, the low-profile sole unit may cause foot pain for people who are not used to running with not much underfoot cushioning. How to clean Nike CrossFit shoes? Nike CrossFit shoes are designed to withstand the usual dirt associated with high-intensity training. A simple wipe-down using a clean damp cloth should clean the exteriors of the footwear. If there is any staining or hard-to-remove dirt, a solution of warm water with mild detergent is used to remove it. Just dip a clean cloth or soft-bristled brush into the solution and use that to remove the caked-in dirt or stain from the shoe. After that, use a clean, damp cloth to remove the soapy solution from the footwear. Air drying the footgear for 10 hours or more ensures that all parts are completely dry before use. If the shoe has any foul odor, make sure to remove the insole and clean it the same way as you would the exterior and air dry it too. It is not recommended to machine wash the trainer or use any heat source to dry it off as these could degenerate the overall construction of the shoe. Can I customize Nike CrossFit shoes? Yes, Nike CrossFit shoes can be customized. Just go to the Nike website, hover on the “Customize” tab and select “Training” from the drop-down menu to see which of its training shoes can be customized. Currently, only the Nike Metcon 4 is available for customization. Shoppers can personalize the color of the upper, the outsole, the Nike logo, Flywire, and the heel clip. These bespoke Nike CrossFit shoes retail for $150 but with sales, the price can go for as low as $130, about the same price as the regular Metcons. ...that neither Metcons nor other cross-training shoes were allowed to be worn by athletes during the 2015 Reebok CrossFit Games because of Reebok’s exclusive deal with CrossFit. What happened next was viewed as either petty or a genius marketing strategy: Nike placed ad trucks at the StubHub Center where the event was held with the slogan "Don't ban our shoe, beat our shoe," as an apparent shot at Reebok. The ban was eventually lifted and CrossFit Games participants can now wear any brand during the event as long as it doesn’t infringe the Reebok x CrossFit brand.